Let’s talk: Racism and health equity is the seventh release in the Let’s Talk series. The resource discusses racism as a critical factor that impacts health and wellbeing. It also describes the concepts of race, racism and racialization and emphasizes settler colonialism and structural racism as the root causes of health and social inequities experienced by Indigenous and racialized peoples in Canada. 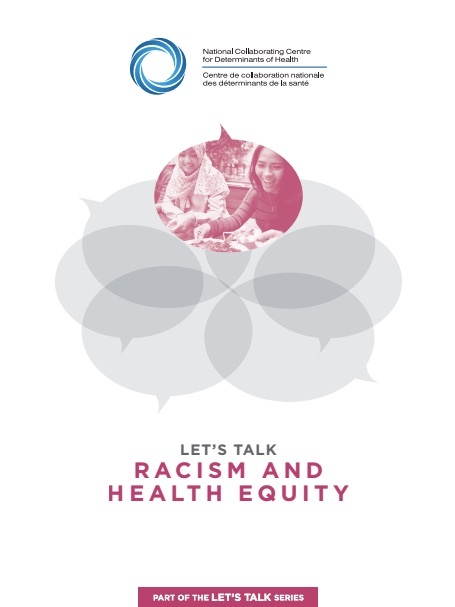 The resource includes discussion questions designed to help public health staff examine their work and consider how they can orient practice towards critical, decolonizing and anti-racist approaches. In addition, the questions ask practitioners to consider how beliefs and stereotypes may influences their practice. Finally, the resource provides tips for embracing critical, decolonizing and anti-racist approaches in public health practice and discusses roles public health can engage in to address racism. To learn more and to download this resource, click here. And don't miss “Racing” the social determinants of health and health equity, a related webinar on October 17, 2017!